Dr. John A. Wolf is an Asst. Professor of Neurosurgery at the University of Pennsylvania. Dr. Wolf's research program is highly collaborative, and focuses on a number of broad areas related to Neurotrauma and Repair. Trained as a computational and systems level neuroscientist, Dr. Wolf's goals are a deeper understanding of the role of diffuse brain injury in disrupting communication between and within brain regions. He believes that functional measures such as in vivo electrophysiology post-injury will most successfully elucidate the disruption that occurs to white matter pathways and circuitry in important cognitive areas such as the hippocampus. His laboratory focuses on the examination and neuromodulation of circuitry disruption after traumatic brain injury. In collaboration with Drs. Smith and Cullen, Dr. Wolf is also leading the electrophysiological efforts to integrate electrodes with nervous tissue in vitro so that it can then be implanted for both peripheral and central nervous system repair (Neural Engineering). 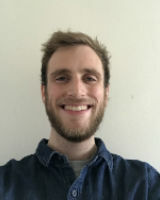 He is particularly excited to be adding optogenetic tools for feedback to the neural interface, as well as using them for neuromodulation in vivo. 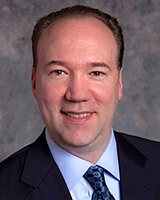 Dr. Wolf received his Ph.D. in Neuroscience from the University of Pennsylvania, where he focused on computational models of the nucleus accumbens in Dr. Leif Finkel's laboratory. 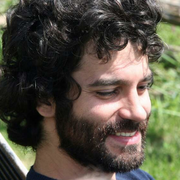 He was then a postdoctoral fellow with Dr. Diego Contreras examining recordings utilizing chronic multiple electrode arrays in awake behaving rats, examining information processing in this area of the brain. His next training was as a postdoctoral fellow at the University of Pennsylvania in the Center for Brain Injury and Repair in the Department of Neurosurgery where he developed a method of slice recording of the porcine hippocampus post traumatic brain injury. Dr. Wolf is currently an active member of the National Neurotrauma Society and the Society for Neuroscience, the Biomedical Engineering Society, and the International Basal Ganglia Society, as well as a Review Editor for Frontiers in Systems Neuroscience. 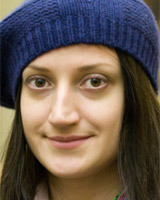 Sasha is a postdoc at the Department of Neurosurgery at University of Pennsylvania. Before she came to Penn, Sasha was a postdoc in Shirokov Lab at New Jersey Medical School. She got her Ph.D. in Pharmacology and Physiology from Rutgers University in 2009. Her current interests are mostly in concussion and epilepsy. Specifically, she studies epileptogenesis after diffuse traumatic brain injury usingin–vivo electrophysiological recording in large animals. Sasha also works on characterization of human neurons in collaboration with Dr. Eberwine, the Department of Pharmacology. She does in–vitro recordings from human brain slices from patients with epilepsy, tumors and normal pressure hydrocephalus. She also enjoy reading and spending time with her family. 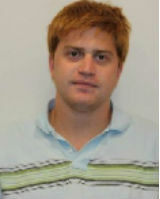 Carlo is a post-doctoral fellow in the Department of Neurosurgery at University of Pennsylvania. 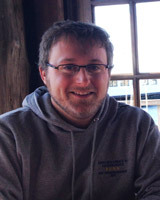 After completing his Ph.D. in in Functional Neuroimaging in 2015, he was a post-doctoral fellow for two years at Laboratory of Elecrophisiology for Translational neuroScience (LET’S) in Rome where his research interests concerned fundamental aspects of human brain processes in health and disease (multiple sclerosis and epilepsy) by investigating the spectral behaviors of cortical electrical activity through non-invasive neurophysiological techniques, as well as the effects of electrical neuromodulation on cortical excitability and computational modeling. Chris (B.S. University of Pittsburgh) is a research specialist in the Wolf Lab. He is investigating behavioral and circuit level activity changes post-traumatic brain injury. He is especially interested in changes in limbic circuitry that underlay PTSD following TBI. In his free time, Chris enjoys reading and playing music. Kim (B.S. University of Pittsburgh) is a research specialist in the Wolf Lab. She is investigating how network level changes affect spatial and working memory post-traumatic brain injury. In her free time, she enjoys hiking, rock climbing, and playing the guitar. Matt graduated from the University of Pittsburgh in 2017 with a B.S. in Neuroscience, and is currently a research specialist in the Wolf lab. He is interested in the effect traumatic brain injury has on the hippocampus and limbic system, specifically how TBI affects circuitry related to PTSD. When not in the lab, Matt enjoys running, biking, and playing guitar. Jami is a senior studying Biological Basis of Behavior. In her free time, she is a mentor for the West Philadelphia Tutoring Project, Moneythink, and an active board member of her sorority, Sigma Kappa. She also enjoys poetry and long walks on the beach. 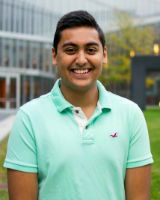 Nikhil is a sophomore studying Bioengineering. 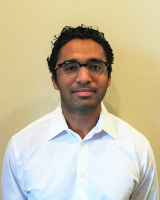 In his free time, he enjoys playing basketball and tennis and is part of Access Engineering, eMed, and BMES. He hopes to attend medical school. Paul Koch was a fourth year resident in Neurological Surgery at the University of Pennsylvania. He completed his M.D. at the Cleveland Clinic in 2010 where his thesis work under Dr. Andre Machado investigated alterations in neurogenesis–related signaling during motor recovery after stroke enhanced by chronic stimulation of the cerebellum. Prior to medical school he spent 3 years as a fellow at the NIH investigating functional imaging phenotypes of working memory deficits in schizophrenia under Dr. Karen Berman. Paul's research interests include uncovering network level dysfunction underlying complex neurological and psychiatric disease, and in developing next generation neuromodulation therapies. Mike (B.A. University of Richmond, M.S. Drexel University College of Medicine) was a research specialist in the Wolf Lab. He is interested in circuit level activity and neuroinflammation post-traumatic brain injury. He would like to pursue a Ph.D in Neurobiology. 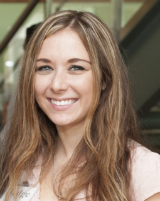 Ashley is a postdoc with Dr. Wolf in the Department of Neurosurgery at the University of Pennsylvania. She started her career in neuroscience during her undergraduate training at Baldwin-Wallace College receiving her Bachelor of Science in 2011. She previously worked as a research technician in Dr. Imad Najm’s epilepsy research laboratory at Cleveland Clinic, where she chose to eventually complete her Ph.D. research with her degree granted from Kent State University. Between her undergraduate thesis and her Ph.D. dissertation, Ashley has spent 7 years studying neuroscience with an interest in brain injury, regeneration and electrophysiology. She is currently training to advance her knowledge in the field and eventually become an independent investigator in academia. Robin had worked in the Wolf Lab since 2012. In May 2016, she graduated from the University of Pennsylvania with a B.A. in Biology and distinction in her Neurobiology concentration, and started as a research specialist. She is interested in the effects of traumatic brain injury on hippocampal place fields and corresponding histopathology. 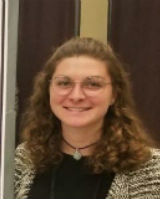 During the summers of 2013 and 2014, she investigated intratumoral habitats in glioblastoma mutliforme at Moffitt Cancer Center in Tampa, FL with Dr. Robert Gatenby. 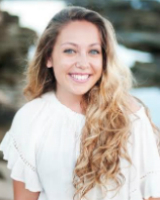 Robin enjoys ballet classes and running in her spare time and will matriculate to medical school Fall 2018. 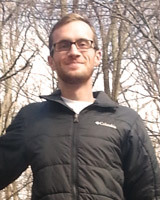 Andy was a member of the Wolf lab from May 2014 until matriculating into the University of Colorado MSTP in June 2015. In his role as a lab technician Andy led the effort to create standardized swine behavior paradigms with Dr. Paul Koch. Areas of research interest include neuromodulation and electrophysiological recordings in animal models of neurologic disease. Maya Hopkins is a rising senior majoring in Biological Basis of Behavior. She has previously worked in an addiction lab and is interested in learning and memory as well as disorder leading to cognitive impairments. For her senior thesis she will be investigating the interaction between stress and alcohol use in dopamine release in mice. 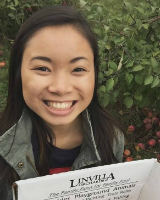 In her free time she is a mentor in Penn China Care and is an active board member on Penn Ballet. 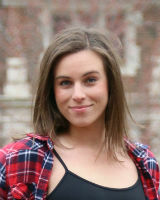 Emily is a freshman studying Bioengineering. She hopes to eventually attend graduate school or medical school (or both). 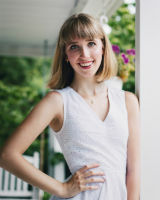 In her spare time, Emily is a board member in Penn Dance Company and Penn Ballet Company and is a freelance photographer.